After spending 3 relaxing, but tame nights in suburbia over Thanksgiving I was more than ready to hit the floor this past Saturday night. I arrived to a pretty full Studio B (especially considering it was only 11:30), that was already getting down to the beginning of 2020Soundsystem‘s set. The live electronic band from Leeds started off with some mellower, techno sounds which seemed to progress as their set went on, becoming richer and more upbeat with each successive track. As I was getting more and more into their set, two thoughts kept coming to mind: 1. I really wish the drummer would get going on those drums. It was puzzling to see a live electronic band using programmed drum beats while their drummer sat calmly, quietly adding subtle taps on the drums and cymbals. and 2. I really wish they had somebody singing. After a while I spotted Dominique Keegan in the crowd which reminded me that he had done some vocals for 2020. A few minutes later Ralph Lawson (dj,beats, etc.) called Dom onstage, where he lent his vocals for the last few songs of their set which included 2020soundsystem’s remix of “Won’t Bother Me” by the Glass as well as what I assume was “No Order” (one of the tracks they had collaborated on prior) and some others. Dom’s vocals and presence coupled with drummer Danny Ward finally pounding on the drums really brought everything together into the live electro-techno dance party I was hoping it could be. The fun continued from there as JDH & Dave P took the crowd into a great, varied deejay set of some awesome, recent tracks I hadn’t heard played out much (if at all). You can download one particularly notable one, Aeroplane’s remix of “Paris” by Friendly Fires’ (who will be here next week!) at the top of this post. 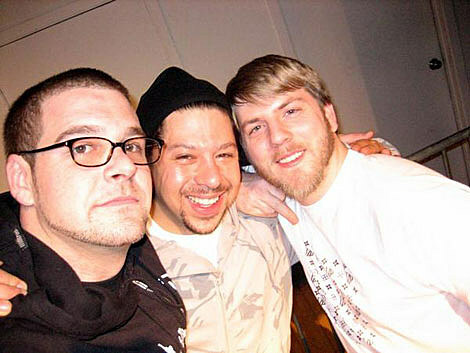 Before I knew it JDH & Dave P surrendered the booth to excellent Berlin deejay/producer Ewan Pearson. Despite producing & remixing loads of acts over the past ten years, and creating an equally impressive amount of his own tracks, Ewan has flown under my radar save for a handful of remixes. I had very little idea what to expect from his set. From 1:30 until the lights came up at 4, Ewan treated the enthusiastic Studio B crowd to a set that started off on the techno side of things and gradually got deeper and more techy as the night went on. Ewan’s set was one continual build-up that ended with him touching on a variety of genres from electro to disco to house while somehow still maintaining the deep, techno feel. I would love to provide a setlist for such a great night of music, but my limited familiarity with Ewan’s tracks combined with the amount of new material a friend told me he was playing made that impossible. He played a great, very stripped down version of Tiga’s “Mind Dimension” toward the end and that was literally the only track I could identify the entire night – a pleasant change from hearing deejays play the same 15 songs which inevitably make you lose it on enough floors until they eventually bore you. If you didn’t make it out that night or if you did and want to hear more, Ewan was on Beats In Space on Tuesday and the show is available to stream/download. 2020Soundsystem will also be back in the states in March. 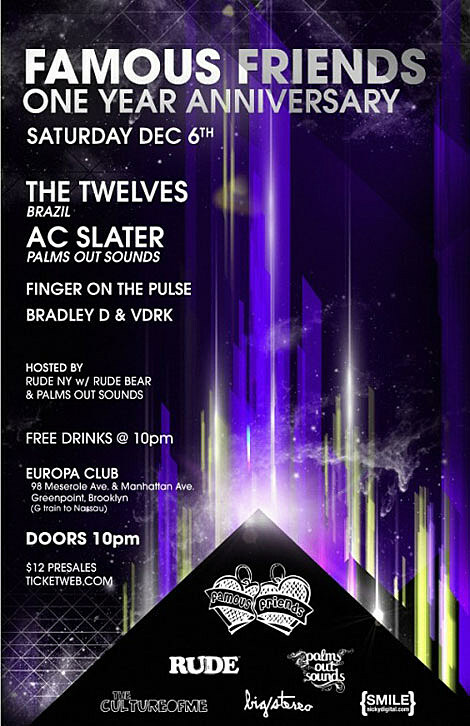 Finger on the Pulse and Palms Out are throwing another of their No Big Deal parties at Glasslands. We gave you a heads up on this one a few weeks ago – hopefully you already got a ticket because it SOLD OUT on Tuesday. If you want to get down to the deejays (Red Foxxx, Etan, finger on the pulse djs, and Joee Irwin) after Passion Pit are finished playing, you can get in for $5 (reduced from $10) after 1am. You can download some mixes from Red Foxx and Joee Irwin (tracklisting below) at the top of this post and check out a nice round-up of Etan’s remixes over at Trash Menagerie. 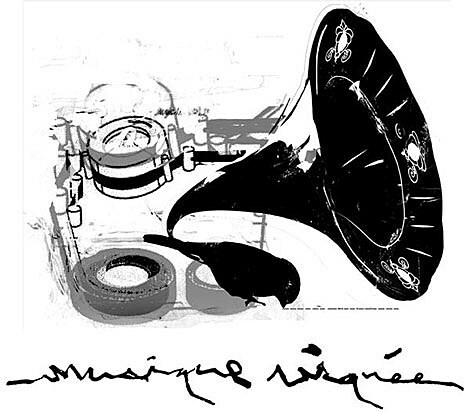 …a crunchy and burlesque alternative to classic house and techno. 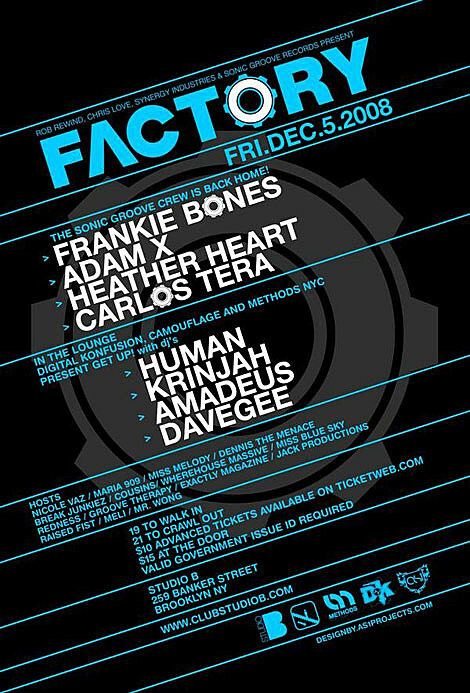 Things get ravey at Studio B with the original Sonic Groove crew: Frankie Bones, Adam X, Heather Heart, Carlos Tera and guests. Free with RSVP (first name and last initial) to RSVPStudioB@Gmail.com, otherwise $15 at the door. 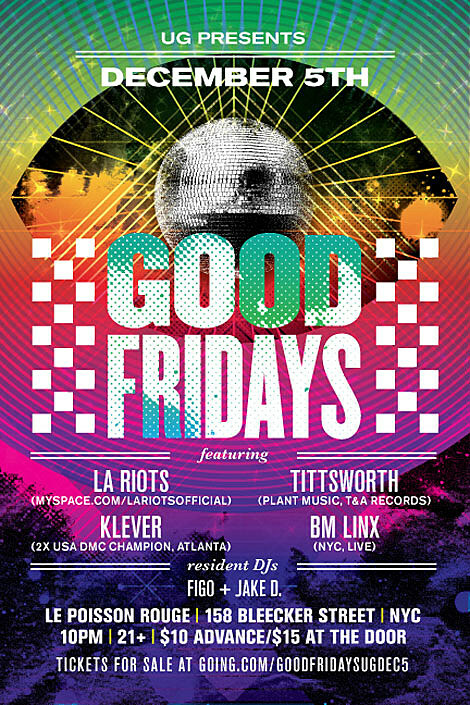 Friday night…it doesn’t get more “electro” than LA Riots. 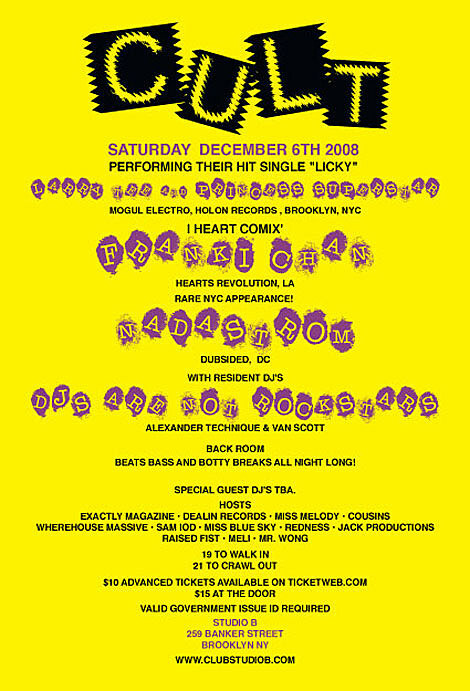 No strangers to New York this year, they are back in town again (this time at Le Poisson Rouge) despite being busy remixing loads of tracks (like Kylie Minogue) and recently deejaying the I Love Techno festival in Belgium. 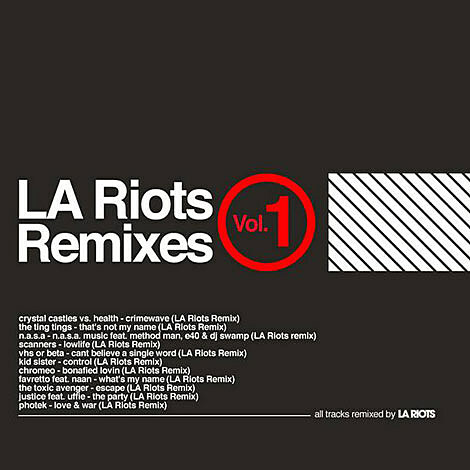 You can download a collection of their remixes (tracklisting below) as well as a recording of their set from I Love Techno at the top of this post to get ready for Friday. AND we have 2 pairs of tickets to give away! TO WIN email BVCONTESTS@HOTMAIL.COM (subject: Good Fridays). Include your first and last name. Two winners will be chosen at random and contacted ASAP. For something starting earlier in the evening, The Rub (Ayres, Cosmo Baker, and DJ Eleven) make you get down uptown at the First Fridays party at the Guggenheim. It’s from 9pm – 1am. Free for Guggenheim members, $25 otherwise. Full info here. The Rub are also deejaying Saturday night at Southpaw with Philadelphyinz. 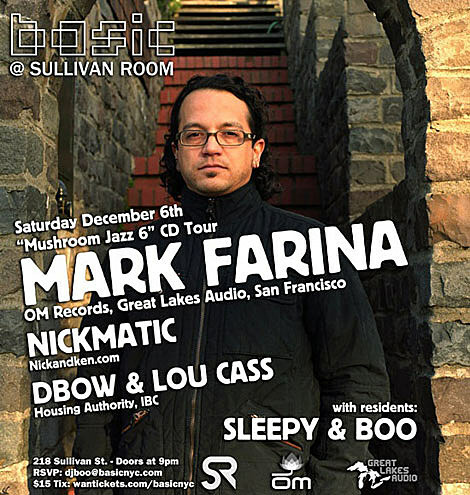 10pm – 4am, 21+ FREE. 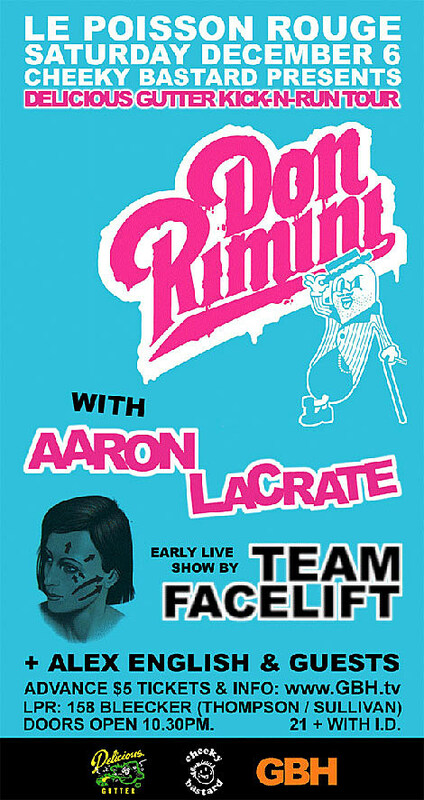 – Don Rimini, Aaron Lacrate, and Team Facelift are at Le Poisson Rouge. Download Don Rimini’s “Come Get Dirty With US” mix over at Fairtilizer. – Princess Superstar and Larry Tee will be at Studio B, doing a live performance of their inescapable track “Licky”, to celebrate its release in the US on Ultra Records. It’s a full night as Nadastrom, Franki Chan and Van Scott & Alexander Technique (Deejays Are Not Rockstars will also be deejaying. 10pm doors, 19+, free with RSVP to RSVPStudioB@Gmail.com. And while we’re on house, young up and comers, the Martinez Brothers (who were appropriately just featured in Mixmag’s November Issue: New School – Meet the young things that run tings. More info here), are at Pacha. 21+, 10pm doors. Free before midnight with RSVP here. Advanced tickets available here. – 718 Sessions with Danny Krivit upstairs at Santos. – Discotheque Sundays with Neil Aline downstairs at Santos. – MKL deejays early at Cielo, plus dub poet Infininity, and Francois K.
– Shakey’s Record Fair is happening at APT. – Friendly Fires (who were great during CMJ) are at the Annex. – Special Disco Version with Horse Meat Disco (who will be deejaying on Beats In Space on Tuesday) is happening at Santos. All I’m ending with this week is a warning: Brace yourself for next week! This weekend is far from boring, but the amount of good stuff happening next week/weekend is staggering. Here’s a super quick rundown of what’s happening just from Thursday to Saturday: Sebastien Tellier is back in town. Fake Blood is making his US debut. There will be new French house classics from Alan Braxe and Lifelike, disco from Justin Miller & Jacques Renault. Moby, Drop The Lime, A.C. Slater, JDH & Dave P are taking over Le Poisson Rouge and Duke Dumont will be at Studio B. Get ready!